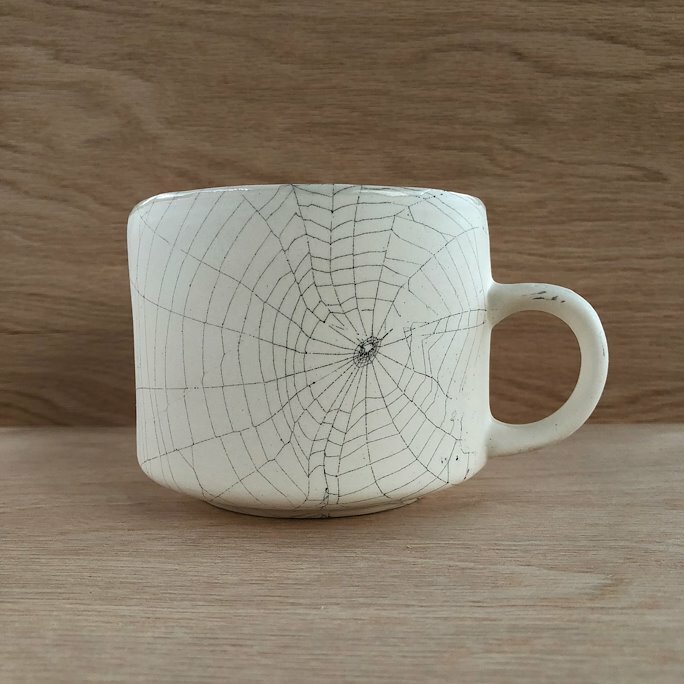 This is one of the double web mugs that sold this past weekend! Thank you for all of your support this season. 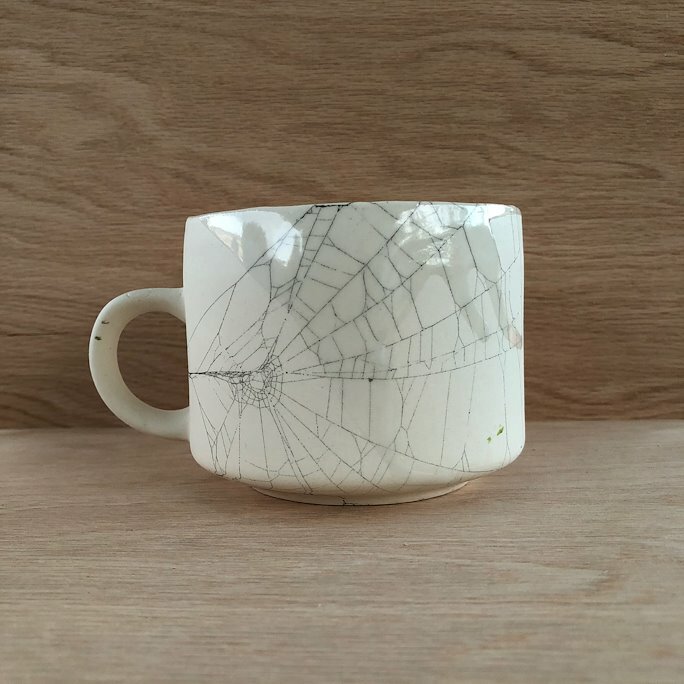 I am going to get started on taking some pictures of what pieces I have left and get my shop loaded up. Also, I am clearing out the space I used to build the display and getting ready to make a new sound installation this winter. As some of you might of heard, the sound installations are the reason I started researching and collecting spider webs in the first place.